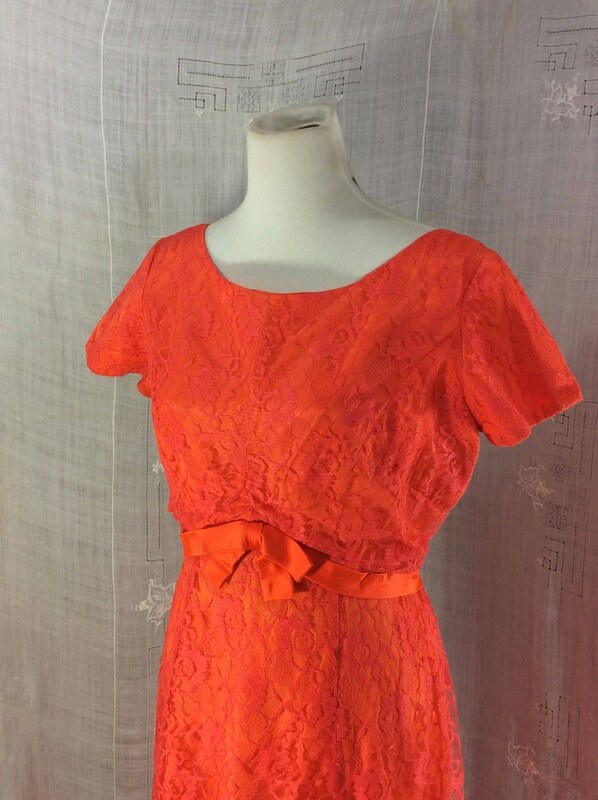 Beautiful, vibrant, coral gown by Emma Domb. Long metal zipper up the back and empire waist bow in front. Two layers, lace on top and taffeta below. No flaws found.